Liquid solar pool covers protect your pool from heat loss and evaporation 24 hours a day, 7 days a week. Do you like the idea of reducing heat loss and evaporation in your pool? Do you not want to bother with covering and uncovering your pool every time you get in? 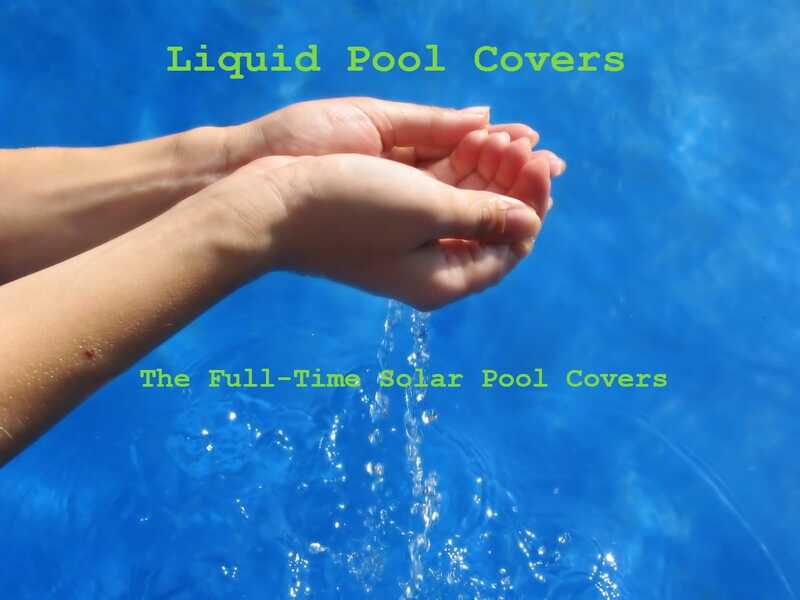 You might find the solar pool cover that’s right for you with liquid solar pool covers! What Are Liquid Pool Covers? Liquid solar pool covers protect your entire pool twenty-four hours a day, seven days a week. Manufacturers of liquid solar pool covers have safety in mind. You can swim as usual with no worries about any additional exposure to unhealthy chemicals. The liquid formula is generally an aliphatic alcohol and carbon solution with calcium hydroxide added as a carrier. Scientists have extensively tested the formula and have found no significant risk to humans or pets when used as directed. Of course, you will still need to keep the containers safely out of reach of children and/or pets, as with any pool chemical. Can You Swim While Using A Liquid Pool Cover? Since liquid solar covers are designed for full-time protection from heat loss and evaporation, you won’t disrupt them by swimming. The cover will simply move right back into place after the surface disturbance has passed. Likewise, your pool’s filtration system won’t affect the efficiency of the liquid pool cover. What little liquid does make it through the filter will not harm your equipment in any way, nor will it lose effectiveness. However, if your area experiences prolonged high winds, the liquid solar pool cover can be pushed to one area of the pool. But as soon as the wind dies down, the liquid will evenly disperse over the pool surface again. You can easily install this type of solar pool cover: you just pour the liquid right into your pool. Or, you may use a dispenser which floats on the pool surface and releases small amounts of the liquid throughout the day. Once the liquid solar pool cover has dispersed across your pool, you can swim as usual! Of course, a solar pool cover that is this simple to use will have its drawbacks. Liquid solar pool covers are only about 75% as effective as their physical counterparts. But, you still save quite a bit of heat and water throughout your swimming season. If you prefer not to use a pool blanket during your pool’s busiest months, try using the liquid solar pool cover in the summer and a solar pool blanket during cooler periods. Here at Daniel’s Home for Solar Energy, we’ve found the best liquid solar pool covers on the market. Check out some of our product reviews to find the liquid pool cover that’s right for you!